The story of America’s longest war is complicated and difficult to convey, unless you were there. Dennis Woods was there. By following his stories in Iraq and Afghanistan, we can sense the enormity of his combat experiences. Originally written for his daughter, Black Flag Journals is taken from the author’s nine battle book journals. It covers his time from the fall of the Twin Towers through his last combat tour. 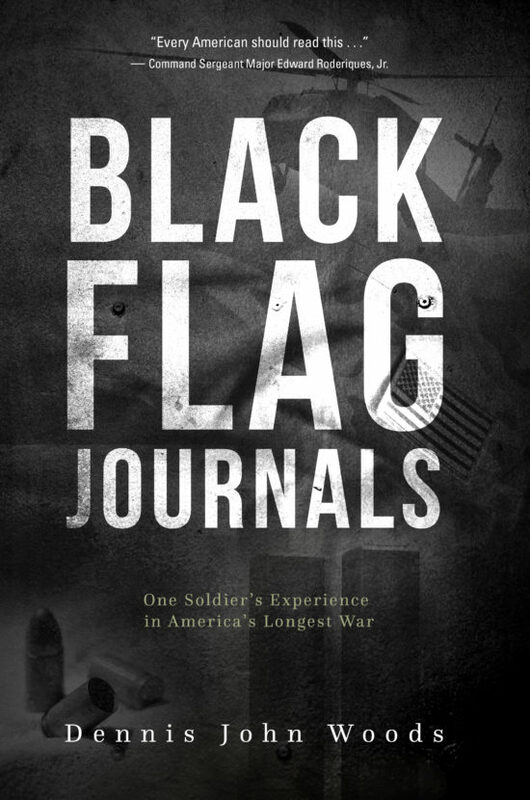 Black Flag Journals contains not just stories from the first war of the new century, but a day-by-day record of events that other veterans may use to relate their own experiences. All who enjoy real life stories, and followers of history will connect with this first person account of America’s longest war. — Command Sergeant Major Edward Roderiques, Jr.
“An interesting and insightful perspective from a true leader, warrior and father." 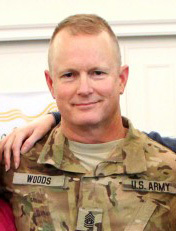 Dennis Woods was deployed in combat for every President from Reagan to Obama, amassing over 57 months in battle. Black Flag Journals was written using a series of nine battle journals that bore witness to his actions in America’s longest war. His military career has taken him from the Island of Grenada to the Middle East. Woods is also an inventor of devices that are chronicled in Black Flag Journals. These included the use of training munitions in combat to reduce civilian death and collateral damage, and the first use of thermal optics on artillery weapons to increase American crew safety. The author lives with his wife in Virginia, where he continues to innovate and invent new devices and techniques preparing for future wars.